I’m definitely one of those guys who always needs to have pen and paper handy at all times. As a business owner, family man, and generally busy guy, I am frequently in need of writing things down for later use – whether it’s an idea, a task that needs to be done, or contact information for future follow up. Field Notes Notebooks or similar products are a great way to keep those notes, thoughts, and information contained in a somewhat organized fashion. The problem with most of these notebooks is they are made with a thin cardboard cover. They tear and wear out quickly. But, if you cradle them in thick, gorgeous leather, they will stay crisp and clean for much longer periods of time. And, the leather cover can be used over and over again. 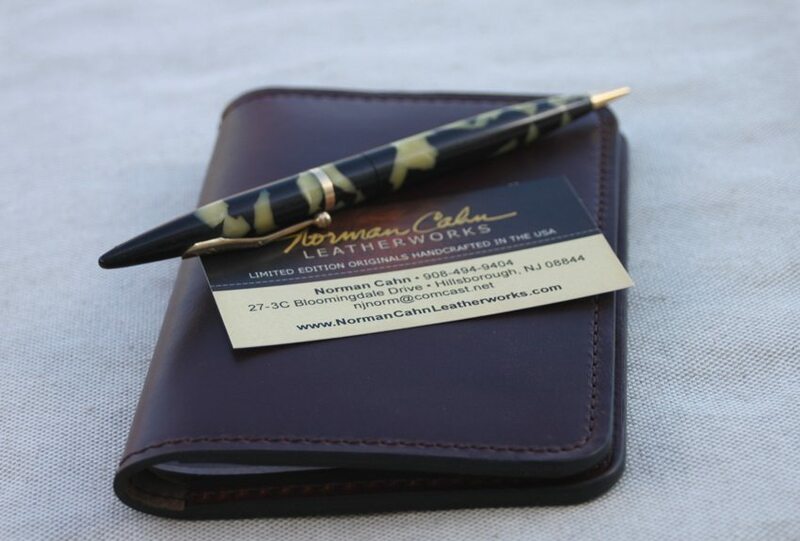 This is the second great piece I’ve reviewed for Norman Cahn Leatherworks (actually, it’s the 3rd product…but the first two products were both passport cases). As mentioned before, Norman Cahn is a self-taught leather artisan. 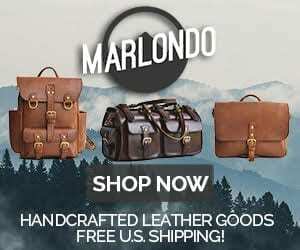 He started designing and crafting leather products in 1976. And since that time, he’s refined his skills and continues to strive for perfection in his craft. His expert skills and dedication to creating high quality products is evident in every piece…large or small. 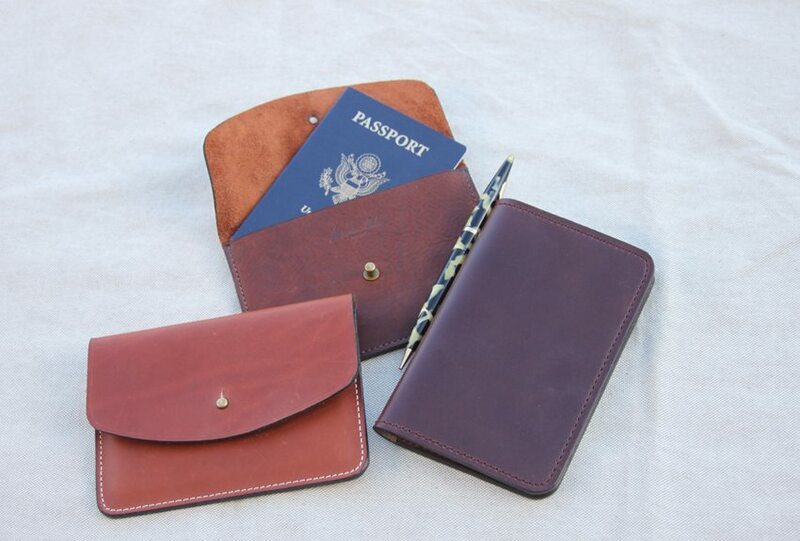 We suggest that you visit Norm’s Etsy store in order to take a look at all of the fine leather products he creates: http://www.etsy.com/shop/NormCahnLeatherworks. This time around, we’re discussing the Norman Cahn Leatherworks Field Notes Cover. In typical “Norm” fashion, construction of this cover is near perfect. It’s precision cut, perfectly sewn with a dark chocolate colored, bonded, nylon thread, and finished to an extremely high standard, which includes Norm’s signature waxed, polished, and finished edges. The cover is 6 1/8″ high x 4” wide folded and will hold a classic notebook (it will also easily hold a passport in the cover as well if that’s of interest to you). The left flap contains a nice size pocket that will easily store business cards, receipts, or other materials. The thick, heavy duty Chromexcel leather serves its purpose perfectly…protecting your notebook in style. I do wish there was a pen loop in the cover – however, I suspect that it would create additional unwanted bulk in the cover that probably negates any benefit it would afford. It folds over so nicely and maintains a thin profile – even with receipts, business cards, and a notebook loaded up in it. So, forget I said anything about a pen loop. It’s a simple design, yet it exudes a sense of class and sophistication. Its size allows you to slip it easily into a pocket – either in a coat or the rear pocket of your pants. The dark brown color and dark chocolate brown thread combine to imbue a rich, classy image. If you’ve got a favorite, good looking pen, this cover and your pen will create a stunning combination. I’m looking forward to seeing how this cover is going to age with use and time. I’m confident that it will just look better and better. It’s Horween leather and it’s a Norman Cahn Leatherworks product. In saying that, you’re guaranteed that it’s made well and will outlast you while looking fantastic all the while. 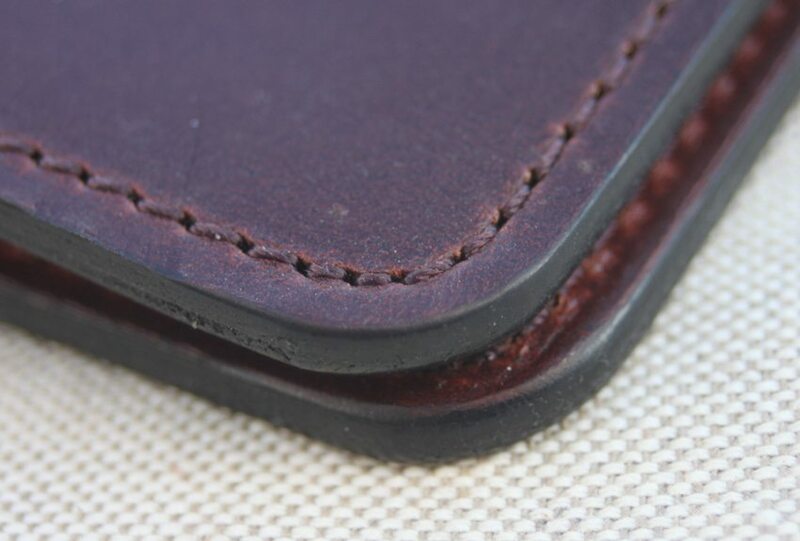 The Norman Cahn leather Works Field Notes Cover is a definite BestLeather Buy It For Life product. 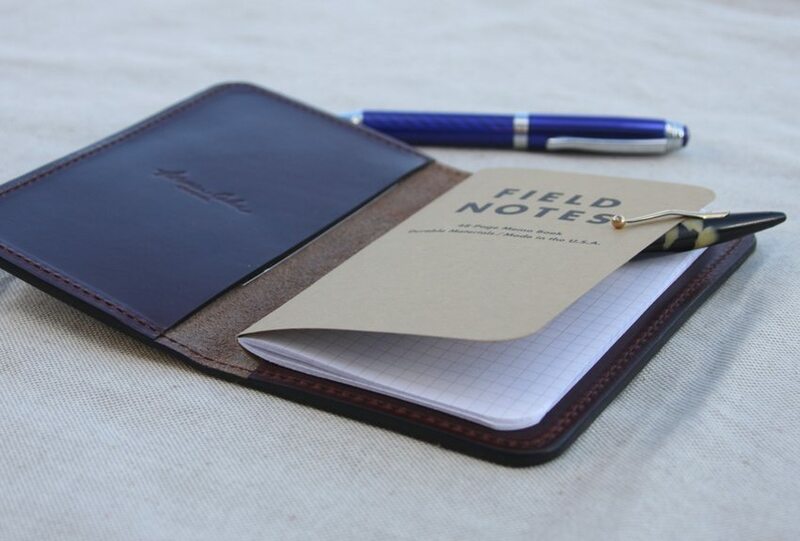 $42.99 is a fantastic price for a piece of this quality…and, it includes your first Field Notes Notebook at that price. 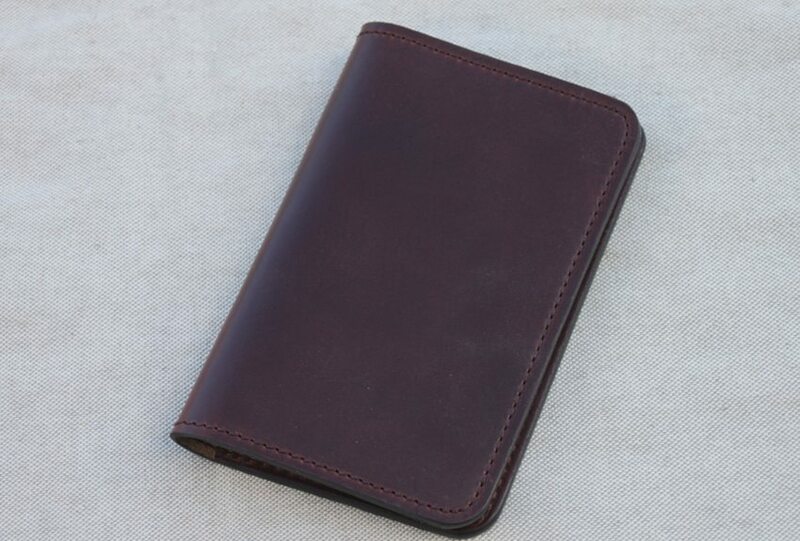 You can also get a Horween Leather version of the cover for $50.99 in Norm’s Etsy store. The holidays are approaching quickly. This is a great gift idea…for yourself or anyone else on your list.